10:29 am	Sega is first up -- showing Super Monkey Ball again, but now with over 100 levels. Playing through the last world, which demonstrates how well the tilt-control works. 10:50 am	Next -- MLB.com. The app shows today's games with live, detailed scoring. It also includes real-time video highlights, which are delivered right after the play -- not the game. It will be included in the launch of the App Store. Next -- Modality. 11:04 am	This functionality won't be available until September, but will be seeded to developers soon. Steve has retaken the stage. 11:04 am	When the user quits the application, Apple will push updates from their servers to the iPhone. The developer's servers push the notifications to Apple. These updates can include badges, sounds, and custom messages. This requires just one persistent connection and is extremely scalable. 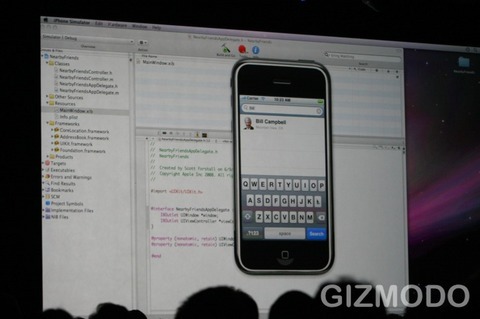 11:02 am	Apple has come up with a far better solution -- a push notification service available for all developers. 11:02 am	The wrong solution would be to allow for background processes -- bad for battery life and performance. Poking fun at Windows Mobile's task manager. 11:07 am	Steve is discussing new features in the iPhone 2.0 software. First, contact search with live searching. 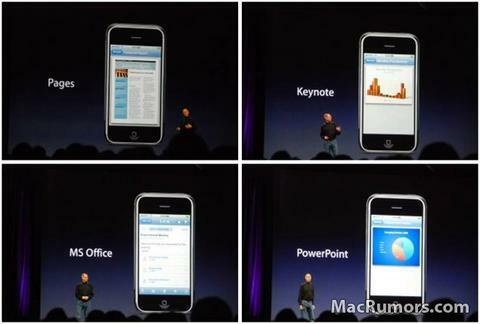 Second, full iWork document support. Third, complete support for Office documents (Word, Excel, and now PowerPoint). Fourth, bulk delete & move for messages. Fifth, the ability to save images you get. Sixth, a new calculator with scientific mode when you rotate the iPhone. 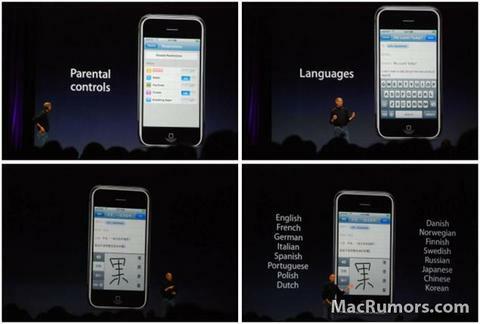 Seventh, parental controls. Eight, tremendous language support. 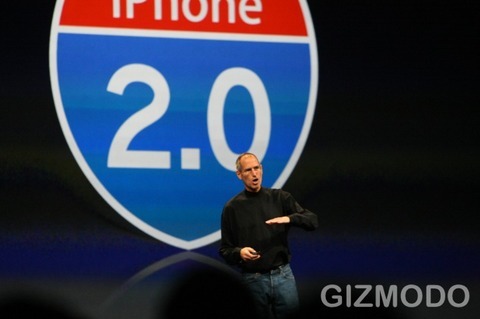 11:08 am	iPhone 2.0 will be available in early for July. Free for iPhone owners, $9.99 for iPod Touch owners. 11:29 am	Users love them too -- 90% customer satisfaction (off the carts), 98% are browsing online, 94% are using email, 90% are using text messaging, 80% are using 10 or more features. 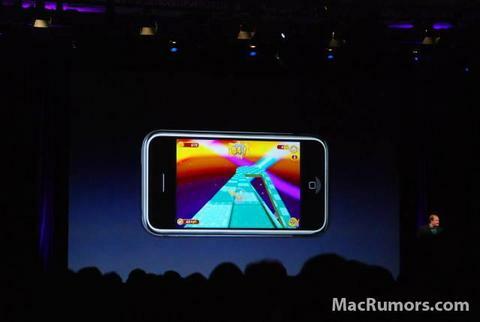 11:29 am	The iPhone had an amazing intro with tremendous critical acclaim. 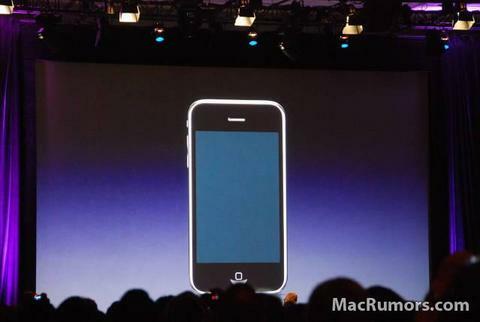 11:28 am	Steve is now talking about the iPhone's first birthday. 11:33 am	Apple has learned so much with the first iPhone. They have taken everything they've learned and more and created the iPhone 3G. Even thinner, black plastic back, solid metal buttons, same gorgeous display, camera, flush headphone jack, and dramatically improved audio. 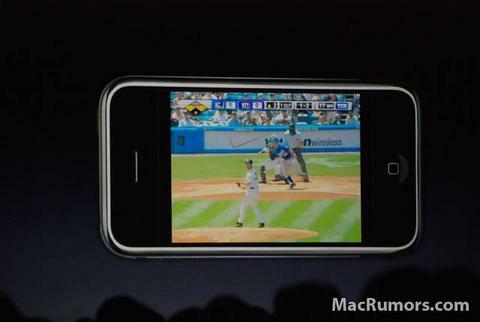 11:32 am	Introducing the iPhone 3G. 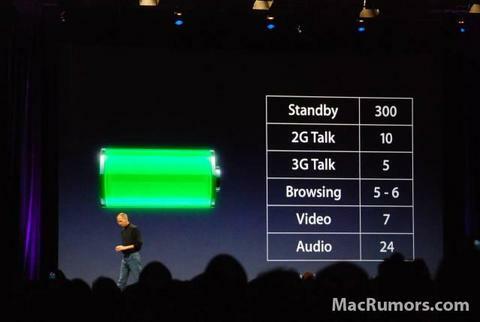 11:38 am	3G has great battery life on iPhone. 300 hours of standby, 2G talk-time now has 10 hours (as opposed to 5), 5 hours of 3G talk-time (most phones only have 3 hour 3G talk time), 5 to 6 hours of high-speed browsing, 7 hours of video, 24 hours of audio. 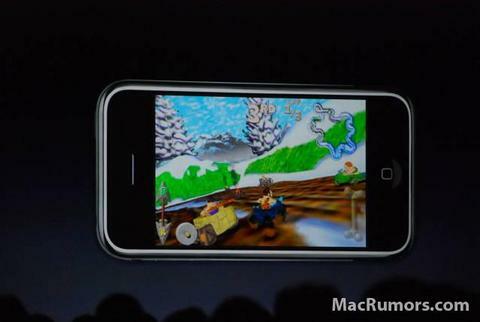 11:38 am	GPS support now integrated into the iPhone. 11:43 am	China, Japan, Australia, etc. 70 countries total. 11:45 am	$299 for the 16GB -- a white version of this size will be available too. 11:45 am	Now on to the final challenge -- affordability. Started at $599 for an 8GB iPhone, now $399. 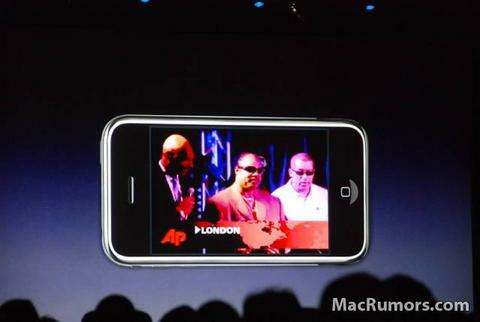 The iPhone 3G 8GB will sell for... $199. 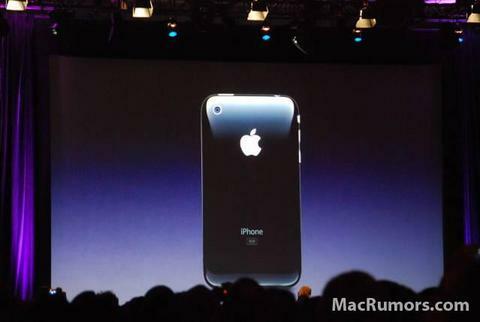 11:46 am	The iPhone 3G will be available July 11th in 22 countries. The maximum price around the world is $199 USD. Now showing an ad. 11:50 am	Overviewing # of sessions and labs at WWDC -- best yet. Steve thanks the crowd and leaves the stage.